NOTE: Aloha Marketing web development services are no longer available. Some non-profits are still maintained, but the business going forward primarily focuses on jewelry design. 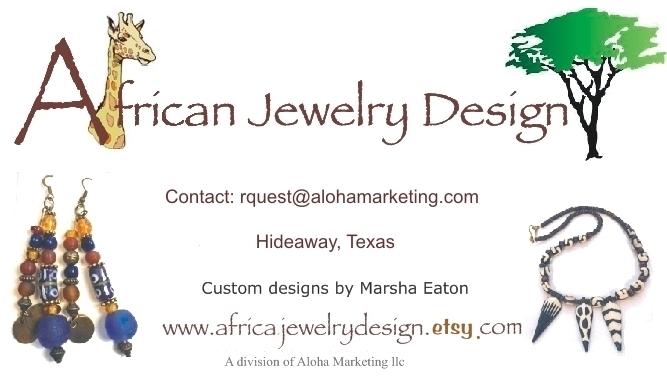 There are a couple websites devoted to selling the custom-design jewelry: https://www.etsy.com/shop/MarshMelloBling that sells both African jewelry designs and other types of jewelry for everyday wear. The other is www.africanjewelrydesign.com that is just African jewelry and a few 'ethnic' pieces.